The ALA questioned the need for another award. A majority of publishers informed the committee that they did not have enough children’s books by African Americans to provide for evaluation. And many librarians were skeptical of anything becoming of this fragile brainchild. Undaunted and unconvinced that this venture was fruitless, the committee moved on. In 1970, the first Coretta Scott King Awards breakfast was scheduled in a hotel that just “happened” not to be on the ALA list of official hotels. After a meager meal and short program, the first recipient of the Coretta Scott King Award was announced. A school librarian from New Jersey, Lillie Patterson, went down in history as the first winner of the award for her elementary level biography, Martin Luther King, Jr.: Man of Peace. It was not until 1974 that the award breakfast was held in an ALA conference site, but even then, the CSK Award was not recognized as an official ALA award, nor was the award committee recognized as an official ALA body. But to the joy of all, publishers were now sending more quality books, and attendance at the 7:30 a.m. breakfast was steadily growing! Another change came in 1974 when the committee presented its first illustrator award. George Ford, who is still painting today, won for the illustrations he created for Sharon Bell Mathis’ biography Ray Charles. In the years that followed, a major breakthrough came when E. J. Josey was elected president of the ALA. One of his first concerns was to bring the Coretta Scott King Committee into the official folds of the American Library Association. 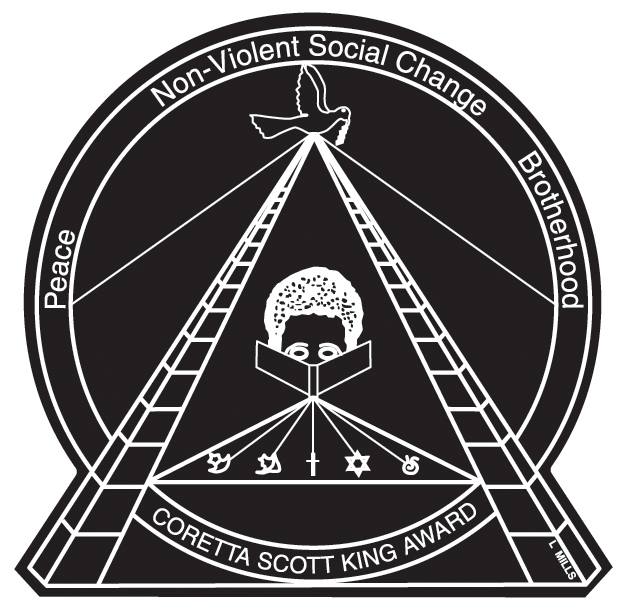 In 1980, the Coretta Scott King Committee became the Coretta Scott King Task Force, a viable part of Social Responsibilities Task Force (since 1993 a part of EMIERT), with founder Glyndon Greer as its first chair. Growth and changes can be seen as the benchmark of this dynamic group of librarians. Artist Lev Mills designed the medal that is placed on each award-winning book. The symbols in the medal’s design each carry a special message; even the colors of the winner and honor book medals, and the more recent new talent award medal, have significance. The monetary prize for the winners was first given through the efforts of the late Basil O. Phillips of the Johnson Publishing Company, and today the encyclopedias from Britannica and World Book have moved from print into the digital age. 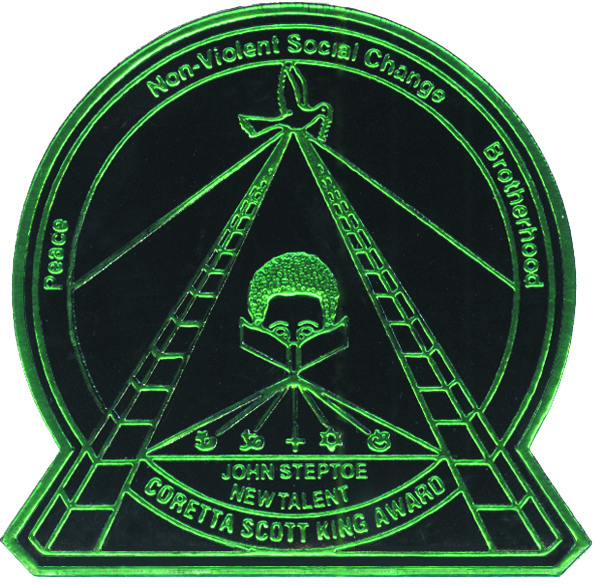 Following negotiations with the ALA parent body on Awards and Recognitions, and the late John Steptoe’s son, illustrator Javaka Steptoe, in 1993, the New Talent Award was established. It was named in honor of John Steptoe, whose first book, Stevie (1969), won national acclaim when the author/illustrator was only nineteen years of age. With each meeting of the Coretta Scott King Task Force, new ideas for growth are on the docket. Among the newest is the Coretta Scott King/Virginia Hamilton Award for Lifetime Achievement, which goes to an African American author, illustrator, author/illustrator, or practitioner (such as a librarian) for his or her body of work or contributions to reading programs involving African American literature. Changes are constantly in the works too. New ideas for creating greater visibility and wider use of Coretta Scott King Award books and materials are a part of every Task Force meeting. To think that all this started with a meeting on the boardwalk in Atlantic City! The very spot may not be there now, but surely the news reports about Hurricane Sandy conjured up many of these same memories for those who met on the boardwalk way back in 1969. Dr. Henrietta M. Smith, native New Yorker, received her MLS degree from Columbia University and EdD from University of Miami, Florida. She teaches in the Materials for Youth in the School of Information (University of South Florida, Tampa, Florida). 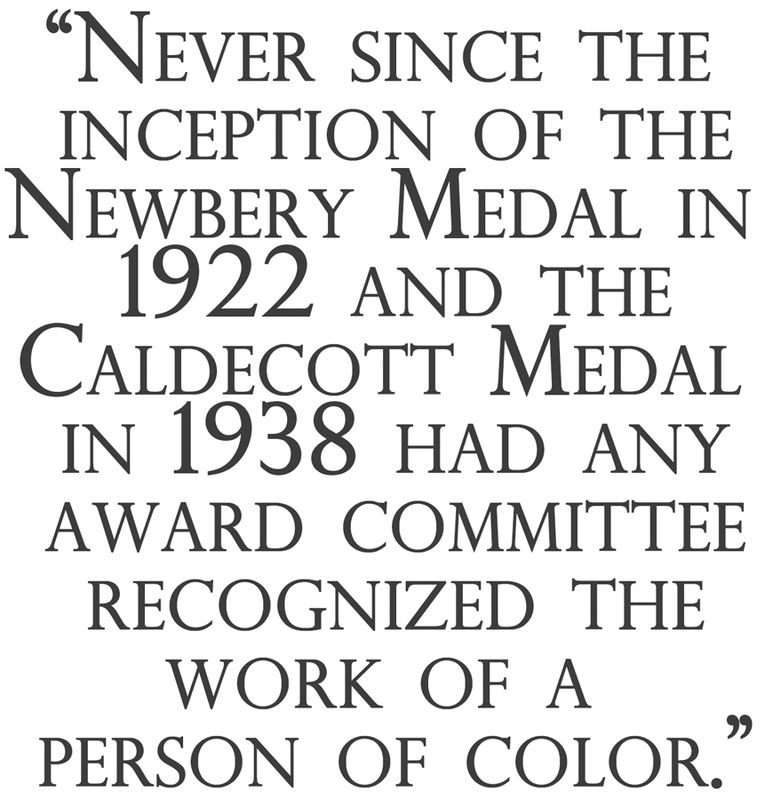 Longtime member of the ALA, Smith has served on Newbery Caldecott, Wilder (Chair), and Pura Belpré Award committees for ALSC and has chaired the Coretta Scott King Task Force and the CSK Award Committee. Smith received the ALSC Distinguished Service Award in 2008 and in 2011 was the first practitioner recipient of the Coretta Scott King/Virginia Hamilton Award for Lifetime Achievement in Librarianship. What a wonderful telling of the history of the Coretta Scott King Book Awards. Dr. Smith is much too modest about her own role in the history of the award. In addition to serving as Chair of the Task Force and of the Jury, she had edited numerous editions of the ultimate resource about the awards, “The Coretta Scott Awards”. She has been a support and mentor to many of its subsequent chairs. She has truly been the heart and soul of the awards, especially during its years as an official ALA Award. As the Awards look forward to their 45th Anniversary in 2014, Dr. Smith can take much pride in what they have become. Dr. Smith has inspired thousands of librarians to love a wide range of literature and to understand the historical and cultural origins. She edited 4 books documenting the CSK award–most recently: Smith, Henrietta M. The Coretta Scott King Awards, 1970-2009. Chicago: American Library Association, 2009.